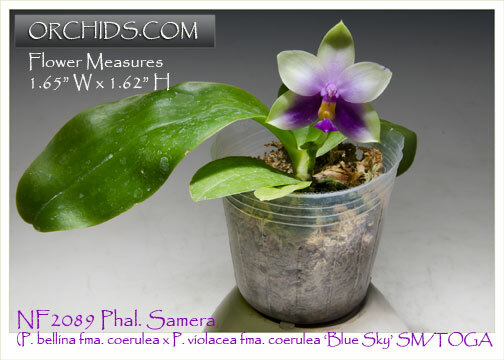 A fabulous new seedling population of this uniquely coerulean form of Phal. 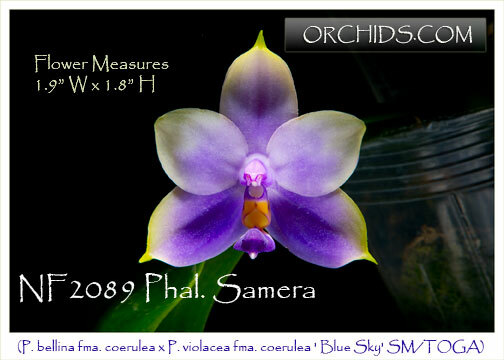 Samera, bred by a TOGA judge who has one of the best coerulea collections in the world ! 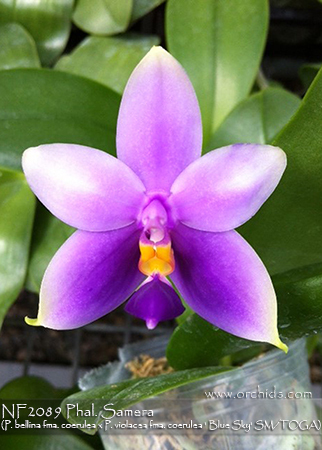 We were extremely fortunate to receive a limited release of this new form of the hybrid, and to date, all we have flowered have been coerulea with slight variations on the petals, some tipped with green. 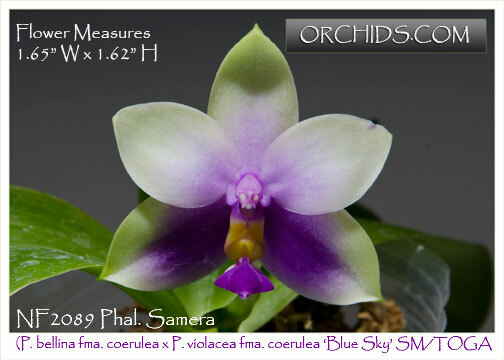 All have been very fragrant and show great species vigor as a result of the combination of its two species parents, Phal. bellina and Phal. violacea. Very Highly Recommended !